The following are the closing two paragraphs from this Sunday’s sermon (March 26). For more, please keep an eye on the church’s website at: http://www.livingwordlutheranchurch.com for the complete audio version of this message. May God be praised. If your eyes are wide open; seeing Jesus, and acknowledging him as Lord, then these two verses are incredibly awesome to your hearing: Even though I walk through the valley of the shadow of death, I will fear no evil, for you are with me, your rod and your staff comfort me.” And then, You prepare a table before me in the presence of my enemies. The darkest valley is not dark to Jesus and living among those who would want to destroy us is of no concern for Jesus, for he has our lives in his mighty hands. And therefore, when your eyes are open; seeing the light of salvation that is in Jesus, you can confidently say, Surely goodness and mercy shall follow me all the days of my life, and I shall dwell in the house of the Lord forever. Ponder that verse; for how can one not turn over everything they are to this Good Shepherd. Open your eyes and keep them open that you may full describe and proclaim the glory of God through Jesus Christ our Lord. The world NEEDS your wide-open eyes. Amen. and guide us into all righteousness. and lead us with Your mighty right hand. and have blessed us to overflowing. You have given us a home through faith in Jesus Christ. May we bless others with the blessings You have given us. Walking in a dark room can be a dangerous undertaking, especially in my home; one filled with toys from a 2 year old and an 8 month old. I have learned the hard lesson to never take for granted safe passage through our dark living room. I either use my smart phone or activate the screen on my Fitbit to cast just enough light to guide my path. And to travel through this dark world without the light of God’s Word is also a dangerous undertaking; but for far worse reasons than simply stubbing your toe or stepping on a Lego. God’s Word lights the path of righteousness that we are to walk . For when darkness descends upon us, Satan is going to be quick to be a false guide to lead you away, or worse yet ~ Your adversary, the Devil, prowls around like a roaring lion, seeking someone to devour. (1 Peter 5:8) It’s only the light of God’s Words that is going to reveal Satan’s evil schemes to deceive you (or devour you). ~ After the Charleston shooting last week I was lead to 1 Corinthians 15:54-57. ~ After a rough morning with my 2 year old I was lead to Matthew 4. God’s Word was indeed a lamp to my feet and a light to my path. God’s Word shined a light on the prowling lion waiting to devour me. God’s Word shined a light to keep me on the right path when the path of bitterness seemed like a good way. God’s Word shined a light on the righteousness won for me through Jesus. God’s Word shined brightly in the darkness to cast away my fears. So never think you know how to navigate dark times. Just because you may have been there before, never take for granted that you know the path. It’s in that complacency that you will step on the proverbial Lego and turn away. Activate the light of God’s Word in your life to avoid stepping on those Legos as you follow the path of righteousness no matter how scary the path may look; trusting God’s Word and not your fears. Holy God, I am in awe that you would give us Your holy Word. 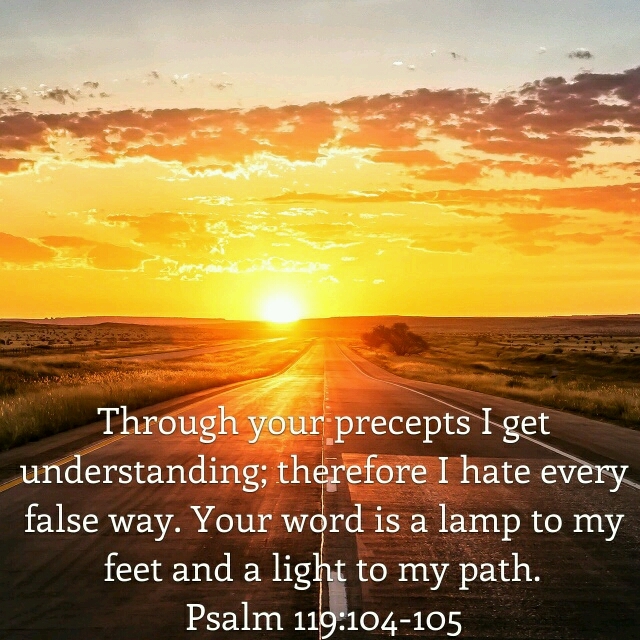 May we use the light of Your Word to guide our way and trust the path that is revealed. In Jesus name I pray, Amen. And when I feel like I am just scraping by I long for something to quench that which is lacking in me. I long to be satisfied. I long to be quenched. But why only then? Why not when I feel full and satisfied and charged? Why not then, oh God, why not then? I loathe the fact that my sinful self leads me to complacency when I feel full. and they fail to do what they promise. Oh how foolish I am. But You, oh God, do not fail in what You promise. You are a faithful God. You are a faithful God to give to Your children as they need. When we are lacking, you provide. 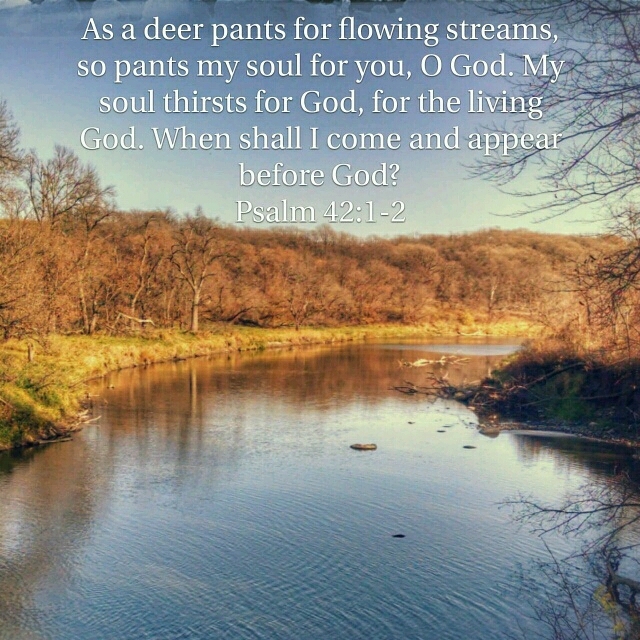 May my heart pant for you as a deer pants for flowing streams. May my heart thirst for You. May my soul wait for You. When shall I dwell in Your house forever and ever. As a deer pants for flowing streams, so my soul pants for You. sustain my faith and trust in You. Amen.